An uninformed civilian might think that being in the Armed Forces and being involved in health & safety are two opposite ends of the same continuum. ‘Health and safety is there to stop people being killed and injured, whereas the Armed Forces…..’, the story might go. But those who have served will quickly spot the contradictions. 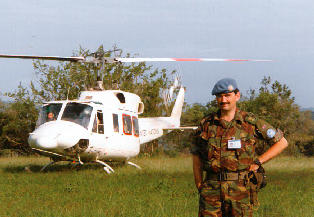 Most military operations are about peacekeeping, peace-enforcement or political transformation and nation-building – all trying to save people from conflict and help them to improve their lot. And in any ship, unit or formation, keeping your own people free of death and injury is just behind the mission as the next priority. So a transfer of skills from one risky environment which provides opportunity for live-saving, to another, is not that great a leap of faith. 1.Technical Mastery. People in the Forces are used to absorbing acres of technical and practical information incredibly quickly. In my experience, a switched-on private soldier with few academic qualifications can be a faster learner than many graduates. High brain speed, developed on intensive training courses and polished on operations, means that grasping the detail of health and safety law, procedures and application on the ground, should not be a daunting prospect. 2.Mission Criticality. In business, money trumps all – except for health and safety. A successful company can have its reputation and financial value destroyed overnight by killing or injuring its staff or the public. The people at the top are looking for the kind of determined robustness that will that make sure this never happens. They seek absolute reliability and the willingness to shoulder responsibility – a natural fit for Forces personnel. If you want to get involved in a high-profile role in a new organisation and you don’t have impressive credentials in revenue generation, this is the way to do it. 3.Talking the Talk. This quality is not just about delivering on your promises (which has to be a given for any leader), it also includes the ability to communicate. Forces personnel are skilled at getting the message across quickly and succinctly and this quality is in great demand. Engaging people in your ideas and your objectives (and there are likely to be many of these in health and safety) flows from knowing what you want to say and how to say it – something that years of doing it in groups of professional men and women have prepared you for. 4.Providing Leadership. Whilst it is wrong to say that there is a dearth of good leadership in civilian organisation, there is always room for plenty more. Indeed the opportunities are boundless for those who can spot them. People who come naturally tuned into leadership fit in and provide immediate value. And good leaders are rewarded directly in terms of promotion and pay. 5.Improvise, Adapt and Overcome. This kind of mantra is part of the DNA of the Forces. Initiative, flexibility and resilience are highly prized in any organisation and particularly important in the world of health & safety which is about matching structure to people (who may have different opinions) and real life situations (which will change all the time). Being able to think on your feet and always come up with an alternative if the plan you’re working on stutters, is a quality Forces personnel can readily bring to the party. 6.Managing Upwards. Knowing how to tell your boss and what to tell your boss, when the news may be unwelcome, is a vital quality in any manager, the more so in health and safety. Being able to tell it like it is (diplomatically and courteously of course) is a quality which Forces personnel are adept and experienced at. Believe me, having people who are fearless in their honesty is a huge boon to any organisation and such people are trusted and valued, because they are protecting not just the staff and the public but the organisation and the boss too. 7.Cool under Fire. This is not a job for the faint-hearted. Health and safety people are sometimes challenged, criticised and even obstructed by the people they are trying to help. Tough-mindedness and moral courage are essential qualities, along with the ability to stand on your own two feet and, as Kipling wrote, ‘keep your head when all about are losing theirs’. An important consideration in any career choice, is to be able to work with the like-minded. The majority of health and safety professionals have never been in the Forces, but their personal virtues (also as described above) makes this a path full of potential comrades. If you travel this way, you will find many kindred spirits as your fellow pilgrims. There may be some who, on leaving the Forces after a demanding first career, are looking for a ‘cushy billet’. This is not one of those places (if there are any in these tough economic times) but it is one which offers challenge, opportunity and reward in equal measure, for those who are up for it. In my seven years at RoSPA, our premier health and safety Award, the Sir George Earle Trophy, has been won three times through the exhibition of the qualities I have described here, delivered by Forces personnel. The key leaders in these three winning organisations were exemplary – a Captain (RN), a WO2 (Army) and a Staff Sergeant (Army). They were all superb people doing a superb job, and the world saw it. 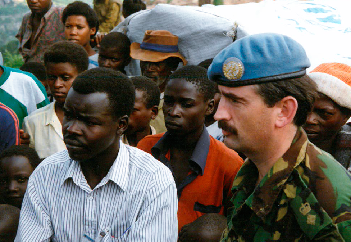 Tom Mullarkey served in the Royal Artillery for 20 years including postings in Germany, Canada and India as well as operational tours in Northern Ireland and Rwanda. 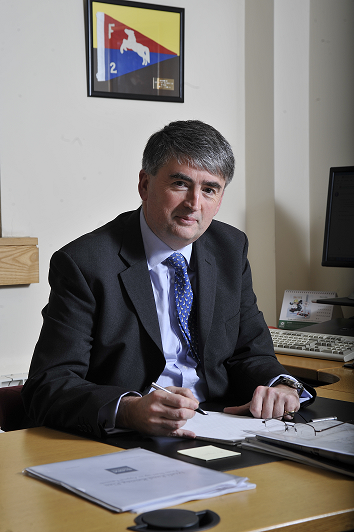 Since 1995 he has carried out senior management roles in the City and the sports industry, has been a management consultant and Chief Executive of the National Security Inspectorate. He joined RoSPA in 2006. Working at height: Myth versus reality!